If a child or teenager’s teeth need straightening we refer them to a local orthodontic specialist practice. They are the best people to assess and treat someone whose teeth and jaws are still developing. Whilst referral to a specialist is still offered to all our adult patients seeking orthodontic treatment, there are a range of discrete, fast acting orthodontic systems which are available to address many of the issues adults may have with the position of their teeth. These cosmetic braces can be a fantastic option for aligning front teeth. The use of cosmetic braces actually reduces the need for more invasive treatment options like crowns and veneers in achieving a pleasing smile. The Six Month Smiles system of clear brackets and tooth coloured wires has allowed us to vastly improve the smiles of many patients who would not have accepted traditional orthodontics. 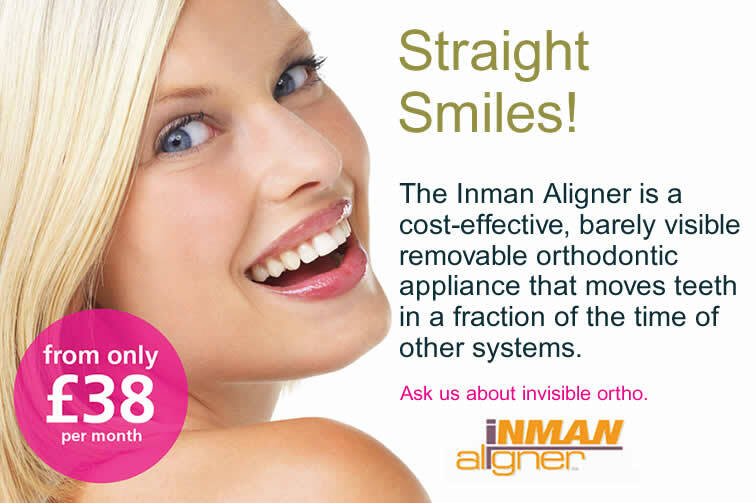 We also offer treatment with removable systems like Inman Aligners or virtually invisible clear aligners (like the Invisalign system). We are happy to discuss the merits and limitations of each system and offer a complimentary consultation to our existing patients. 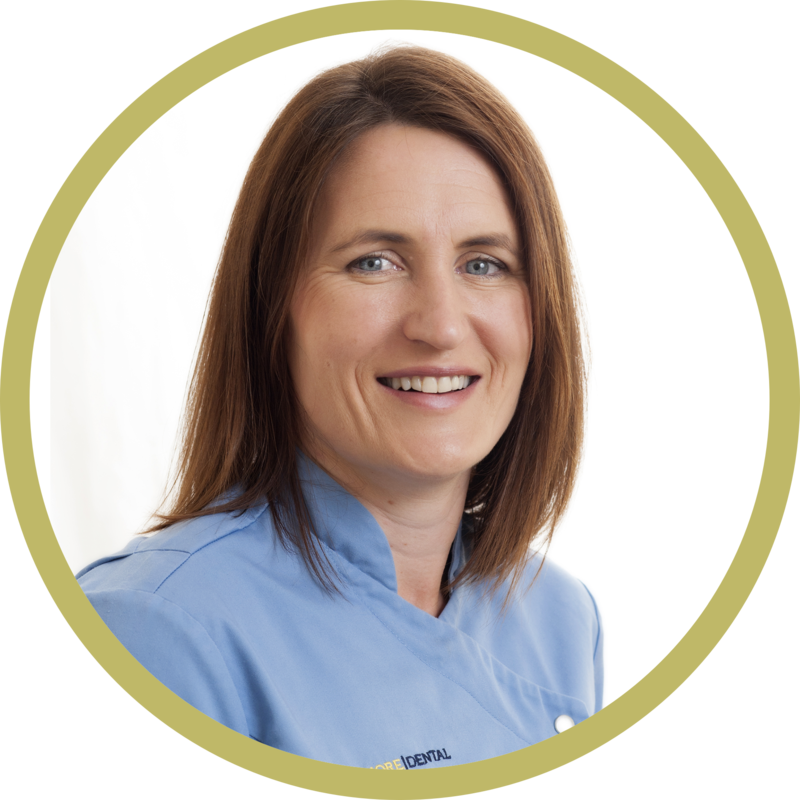 Valerie has first-hand experience of cosmetic braces and is in a perfect position to chat about the systems we offer and show anyone interested some of our before and after photos and testimonials.